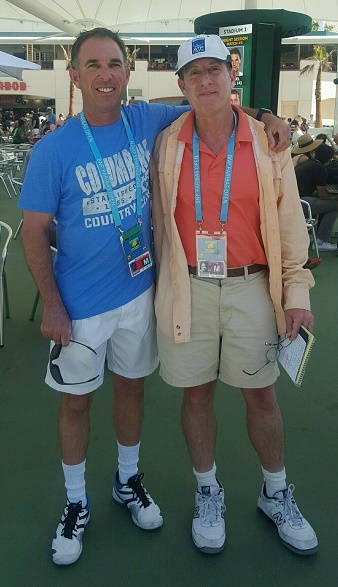 Famed tennis writer, Joel Drucker visits with AZ, and shares some of his many unique insights, which all tennis fans enjoy! Always thought provoking and entertaining when Joel Drucker joins AZ, and today is no exception. His thoughts on Roger, Nick, Sock, and Venus….and a few heartening words about his new book, DON’T BET ON IT, a beautiful tribute to his beautiful wife, Joan Edwards. And somehow….Joel even gets AZ to sing….and it ain’t pretty. Enjoy!! Joel Drucker chats with AZ, and among the topics: His new book, Don't Bet on It, his take on an aspiring boy band, and of course, the great Roger Federer!